Sunsilk Lusciously Thick & Long Shampoo contains a unique formula enriched with Keratin Yoghurt Complex that nourishes your hair for long-lasting volume and shine. 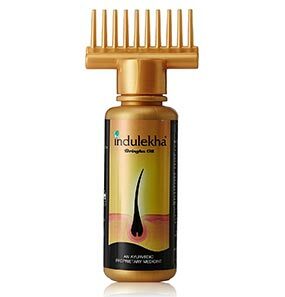 It works from the roots to provide two times thicker hair. 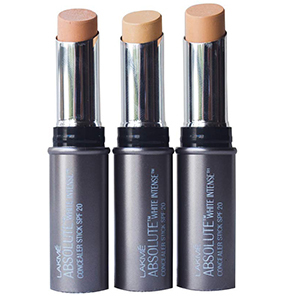 It is packaged in a flip-open cap bottle, and the texture is creamy. It lathers well and can be washed off easily. 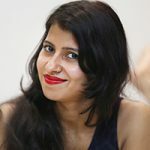 How to use Sunsilk Lusciously Thick & Long Shampoo? Does Sunsilk Lusciously Thick & Long Shampoo have any side effects? 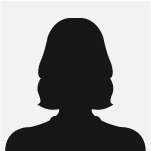 What type of hair is it suitable for? 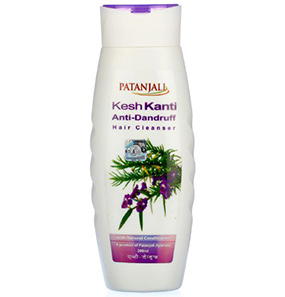 Do Sunsilk Lusciously Thick & Long Shampoo control dandruff? 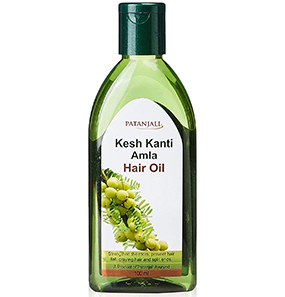 Does this shampoo help in hair growth? 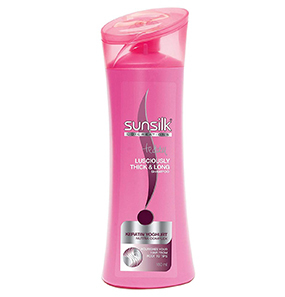 Sunsilk has been there for a really long time and is trusted by many. So, one fine day, I randomly picked this shampoo up from a supermarket thinking it will work just fine. 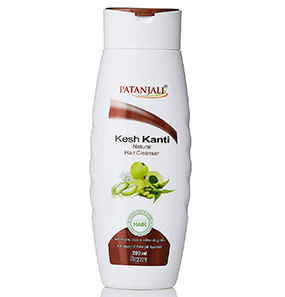 This shampoo claims to be enriched with Keratin Yoghurt Nutri Complex that cleanses and provides the hair with nutrients, strengthening it from roots to tips. 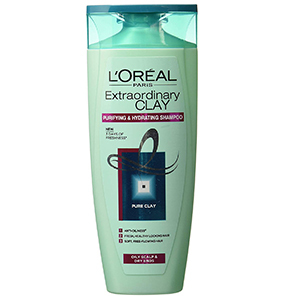 It is a good shampoo that lathers well and cleanses every ounce of dirt on the scalp. And it smells pleasant. I have been using this shampoo for about three to four months now, and I haven’t really seen any difference in the thickness and the length of my hair. Maybe it’s too early to judge, but I honestly feel that shampoo alone can’t give such results. Other than these claims, I will say it is a good shampoo to clean the scalp and keep it hydrated for a day or two. It comes in a pink colored flip open packaging, which I find it cute 'cause pink is my favorite color. I also like the fact that it comes in different sizes. Makes it convenient for different occasions. Sunsilk has been a known product for me since I was a kid. I remember loving the smell. As I grew up, I switched shampoos, but five weeks back, I came across it again. The packaging has changed with time, but the smell remained the same, and I still love it. The effects have also improved, I think. I don’t clearly remember how I felt about my hair when I was a kid but now that I’m using it and I am aware of how my hair feels, I will say that it is a good shampoo. My hair feels soft and silky, and the smell lingers for at least two days. It has also become much thicker, and the oil is well cleaned. It does not have any effect on my hair’s length, but I don’t mind that. 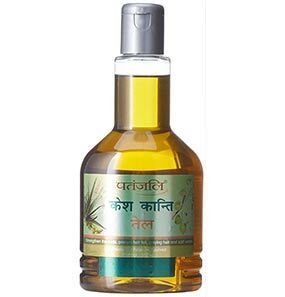 Overall, it is a good shampoo which does not cause any side effects. I happened to buy this shampoo one month back, and I didn’t think any negative incident will occur. 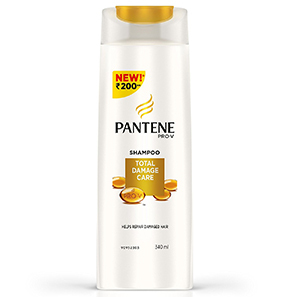 But after a month's use, I am going to stop using it as this shampoo has made my hair fall. Though I haven’t spent much on the shampoo, the fact that it made my hair fall it is an absolute minus point for me. I have a dry scalp and frizzy hair, and it gets very hard to manage, but after I started using this shampoo, the frizziness is more manageable. After I use it, my hair stays hydrated for a decent two days. I use it with a conditioner, so after every wash, my hair stays nourished, shiny, and soft. Although Sunsilk Lusciously Thick & Long Shampoo claims to promote hair growth, I haven’t seen any improvement in the length of my hair. But the volume part? It partially achieves that. It is a good shampoo, and if you can’t afford a high-end shampoo, this is a good one to start with. 1. Apply a walnut-sized amount on wet hair. 2. Lather. Wash using a rotating motion to nourish and cleanse pores. 3. Rinse with running water until all shampoo is washed off. For best results, follow up with Sunsilk Lusciously Thick & Long conditioner. No. But since we are aware that this shampoo has lots of chemicals, be mindful. 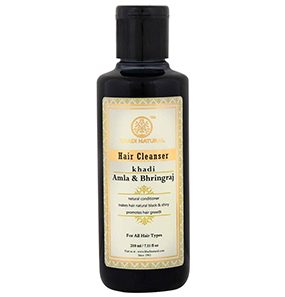 Yes, this shampoo smoothes the texture of your hair, making it easy to manage. Sunsilk Lusciously Thick & Long Shampoo is suitable for all hair types. No, it is formulated to promote thick and long hair. 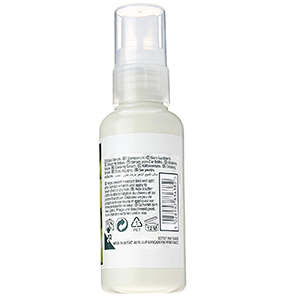 Yes, the ingredients work within the scalp to encourage hair growth.